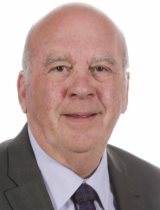 I have been a Councillor since 1987 representing Chopwell and Rowlands Gill. I am a member of the Council's Cabinet and hold the portfolio for Adult Social Care. I am chair of the North Regions for Sensory Support, a charity for Deaf and Deaf Blind people and am committed to setting up an independent advocacy service for people with sensory loss. In addition I represent the Council on the North East Strategic Migration Partnership. I am also Chair of Governors of Chopwell Primary School.